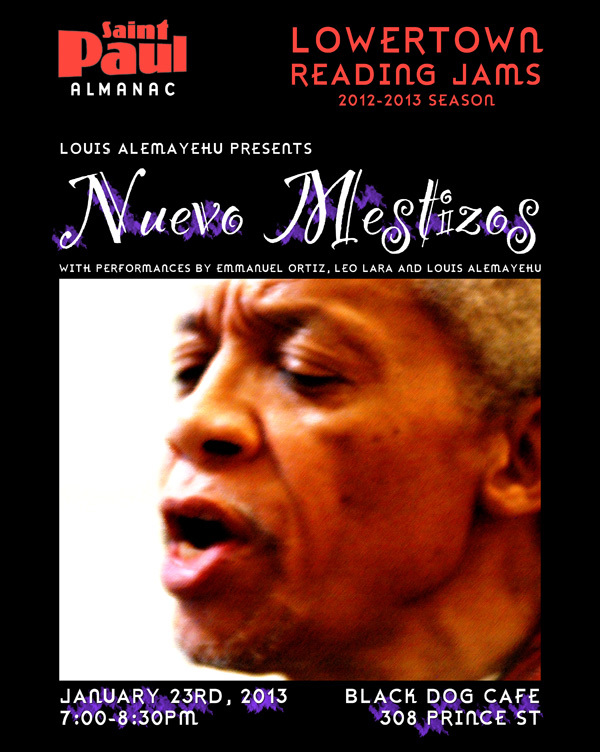 Host Louis Alemayehu is a writer, educator, administrator, poet, father, grandfather, performer, and activist of African and Native American heritage. Louis is a cofounder of the Native Arts Circle, the oldest Native American artists organization in the Upper Midwest. In 2003, the Headwaters Foundation gave Louis an award for life-long commitment to social justice. Currently, Alemayehu’s work focuses on teaching, writing, performance, mentorship, community organizing, charter schools, and organizational development. Samples of his Ancestor Energy CD, AllWhere, can be heard online at cdbaby.com. Today, Louis works deeply across multiple cultural communities. Alemayehu is the director of the poetry-jazz ensemble Ancestor Energy and the winner of an Urban Griot Award in 2009. Leo Lara is a native of Ecuador—of African and Indigenous descent and has played music professionally since 1971. In 1979, Lara began working in Minnesota as a performer and educator of South American folkloric music. Each year, he performs in various venues and conducts residencies in a many Minnesota schools. Lara interprets the traditional songs and rhythms of Latin American countries using a wide variety of authentic instruments, including the charango, cuatro, bombo, quena, panpipes, and many others. Livestreaming the Lowertown Reading Jam. Performer Emmanuel Ortiz is a Latino writer and community organizer recently returned to Minneapolis after a seven-year absence. He is a founding member of Palabristas: Latin@ Wordslingers, a Latina/o poets collective based in Minnesota and the founder & organizer of Guerrilla Wordfare, bringing together artists of color to address issues of socio-political importance in our communities. He has authored two books of poetry: “The Word Is a Machete”, and “Brown unLike Me: Poems From The Second Layer Of Our Skin.” His writing has appeared in numerous publications, and he has performed his work across the country. L-R: Emmanuel Ortiz, Louis Alemayehu, and Leo Lara posing with artist Ta-coumba Aiken’s scroll, created during the January 23rd Lowertown Reading Jam. Detail of the left end of Ta-coumba Aiken’s scroll. Detail of the center of Ta-coumba Aiken’s scroll. Emmanuel Ortiz holds the scroll. L-R: Emmanuel Ortiz, Louis Alemayehu, Ta-coumba Aiken, and Leo Lara pose with Ta-coumba’s scroll.